Do you love swordplay but refrain from practicing it because you worry about your safety and that of those around you too much? Practicing with a real sword can be very dangerous. A slight mistake can kill the person you are practicing with. So, it is very essential to put some thought into choosing the best weapons for martial arts and swordplay training. If real swords are not a good option for practicing swordplay. Then, what is? Wooden sword is the answer to this question. Yes, a wooden sword looks like a real sword and proves to be very efficient and safe during training sessions as it is made up of wood and does not have a steel blade. Now, you will not have to worry about safety and can practice by fully focusing on your moves and training session. 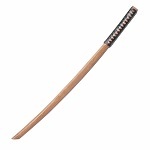 Wholesale Blades brings a wide selection of the best wooden swords for its customers. Our wooden sword for sale collection features top quality construction and superb designs. Although they are made up of wood yet they replicate the designs of real swords quite finely. Want to know about the names of our best selling wooden training swords? 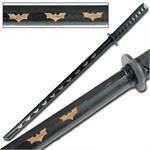 We have the exceptional Dark Night Rises Bokken sword which looks quite graceful in its black glory. Then, we have Shinai Kendo Bamboo sword, Samurai Bokken Daito sword, Urahara Kisuke anime wooden sword, the famous Zelda wooden sword and so many others as well. 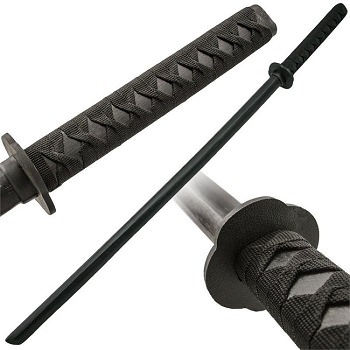 These swords are very durable and strong and you can always count on them while training. You can also use these beautiful swords in cosplay as well. They are so intricately designed that they look absolutely magnificent and totally resemble the design of their real counterparts. We want all swordsmen to pursue their passion of swordplay and that is why we offer these impressive wooden swords at the lowest possible rates. 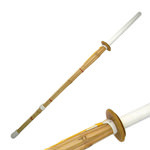 Customer satisfaction is our top priority and that is why we never compromise on quality and standard, so you can make your purchase now by browsing our collection of wooden training swords, without worrying about anything. 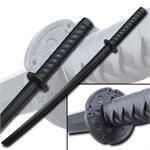 Wholesale Blades stocks a wide collection of wholesale wooden training swords for sale at the lowest possible rates. Our wholesale products are of best quality and we also offer an amazing offer of FLAT 20% off on the wooden sword, if you buy six or more pieces of the same sword from us. You are not going to get an offer like this from anywhere else as this offer is huge and demands to be availed as soon as possible. Right? Other than this, we also have amazing offers for those who are interested in drop shipping services. We don't charge any dropshipping or membership fee to our customers. Browse our collection of the impressive wooden training swords for sale and make your purchase now at very reasonable rates to avail the fastest shipping of one business day.